from Korea made a visit to the Base Gym, on July 17th, to overlook the graduation of the Tea-Kwon-Do class here on base. 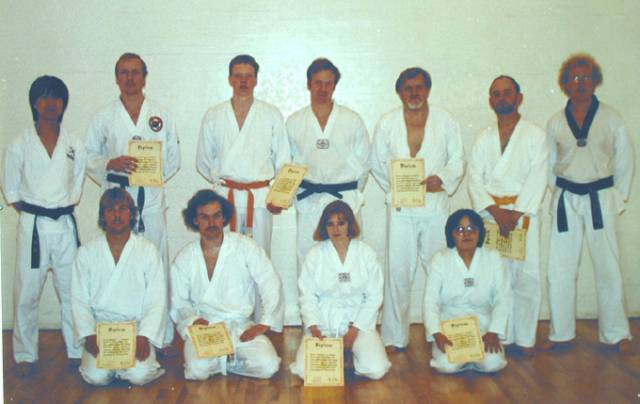 Every member of the Sondy Tae-Kwon-Do team graduated and Sondy now has a first-degree Black Belt, chief printer and trainer for the team, Michael Pedersen. 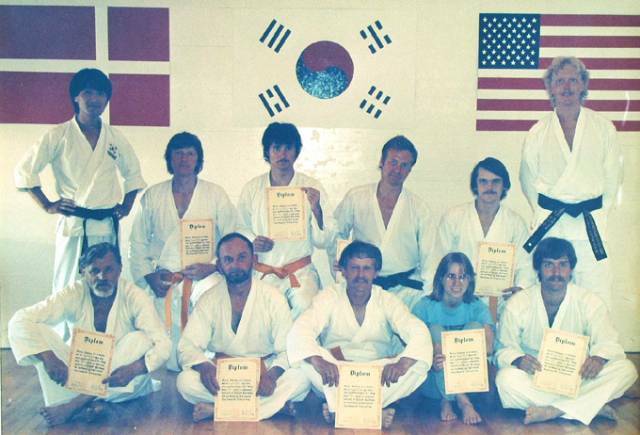 Ivan Skov, J�rgen Lundtoft, Denise Rust and Kim Petersen all graduated for the Yellow Belt. 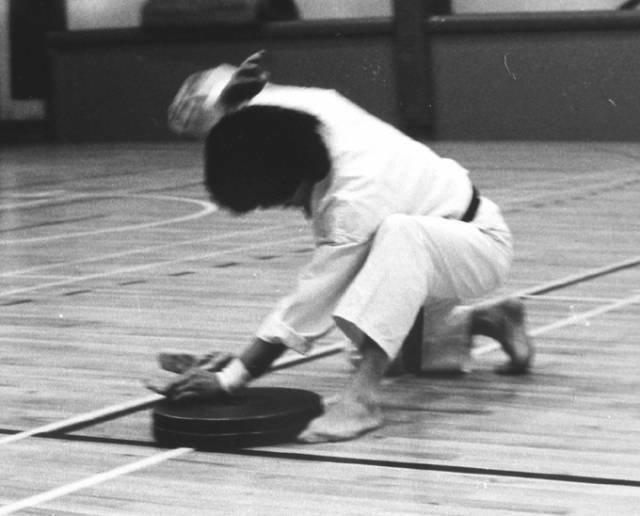 Master Sup demonstrated years of training and concentration as he broke a stone with his hand. 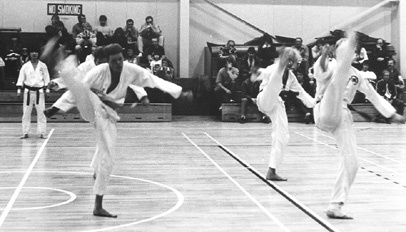 of the biggest martial arts school in Copenhagen. 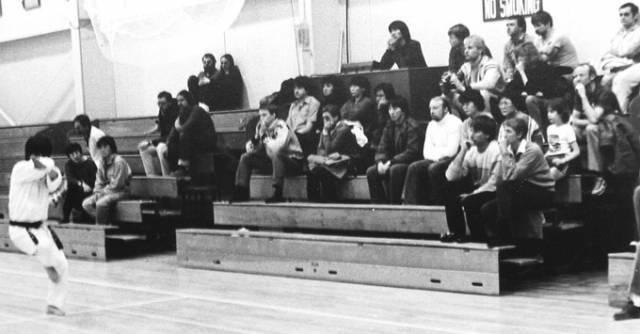 an enrollment of approximately 6,000 members. 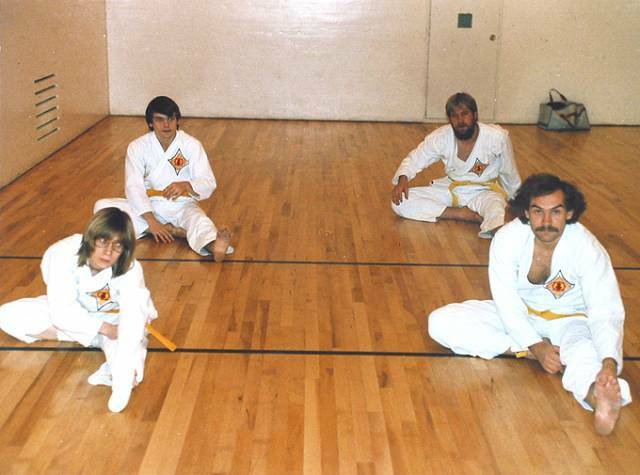 began Tae Kwon Do training in 1980.
and Thursdays from 7 - 8:30 P.M., in the base gym. the base gym personnel at ext 684. 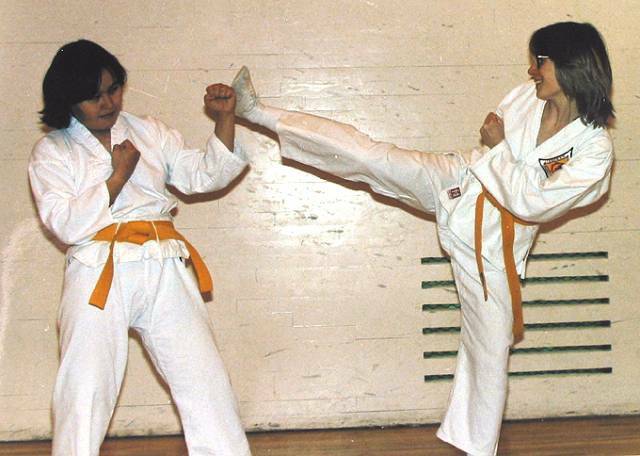 Sondy�s Tae Kwon Do students demonstrate the precision and patience needed for mastering this martial art form that was discovered in Korea 2000 years ago. 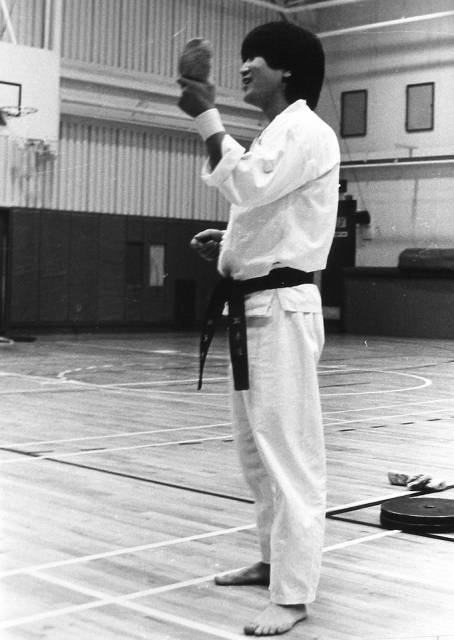 Base Gym 1985: Master Cho found a stone on the base, and broke it with the edge of his hand. 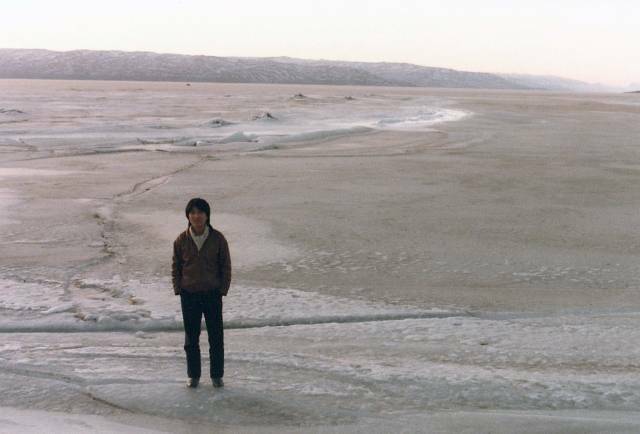 Grandmaster Cho on the frozen fjord. 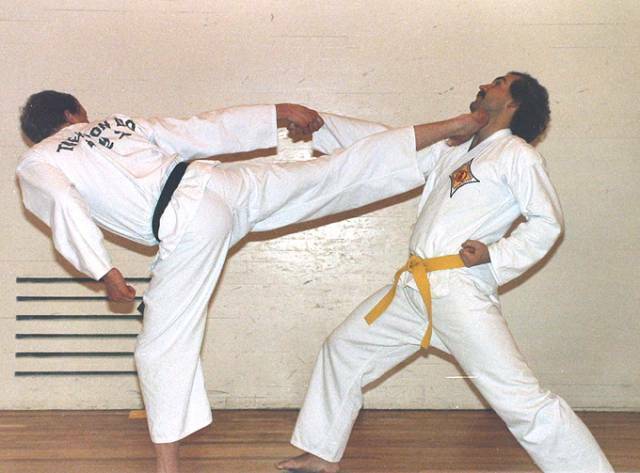 Today, Grandmaster Cho Woon Sup has a 9th Dan (9 degree black belt) and is a member of the board at the worlds Taekwondo Headquarter, Kukkiwon, in Korea. 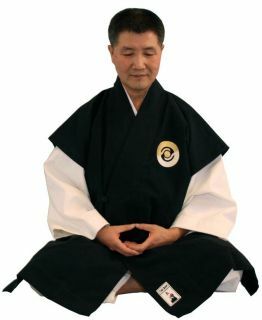 Me, I got the 2th degree black belt (2. 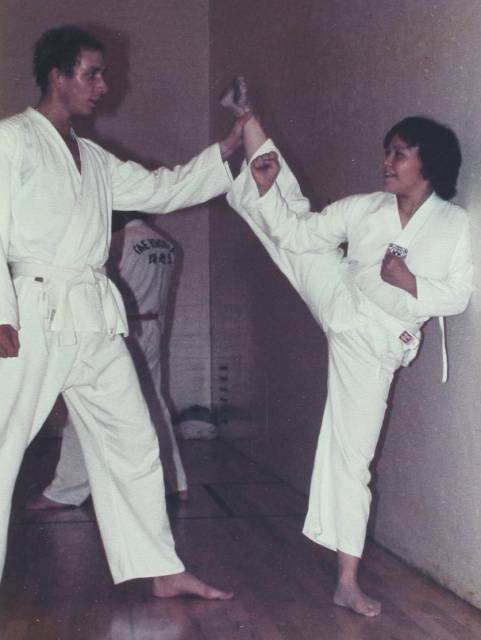 Dan) in 1987 and continued training Taekwondo until 1994. 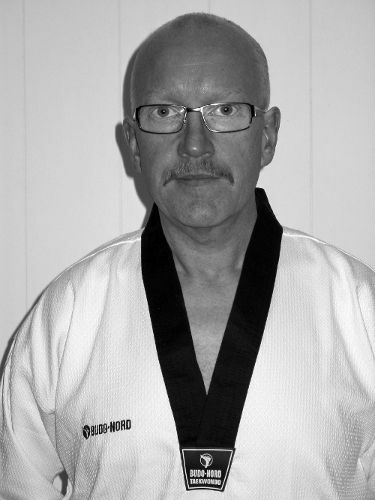 After returning to Denmark in august 1986 I became the chairman of my old club in 1987 (R�dovre Taekwondo Klub). 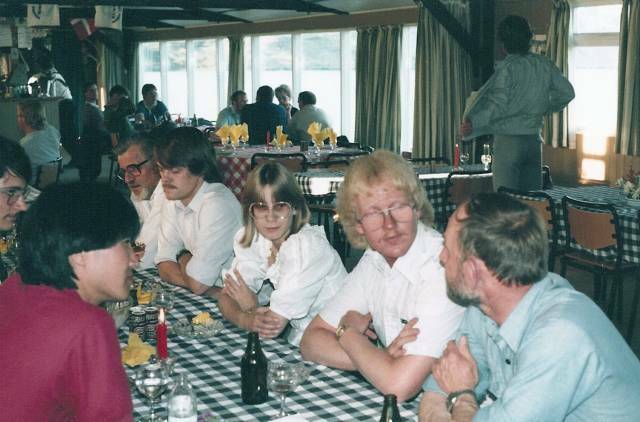 In 1989 we where 35 members who broke out and founded our own club. 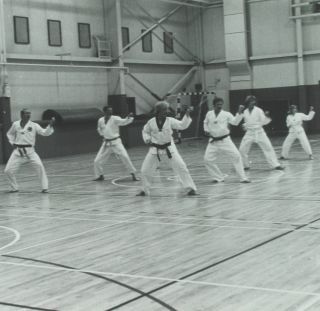 Vestegnens Taekwondo Klub (now called Islev Taekwondo Klub). 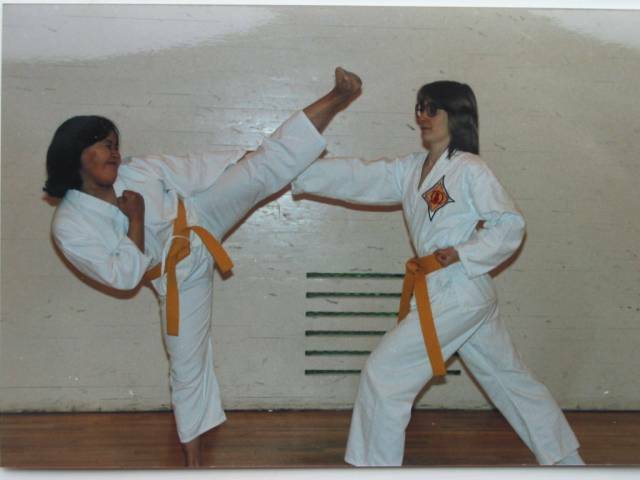 From 1992-1993, I had a small Taekwondo Club on Thule Air Base, Greenland.